Pikul Olga Yu. 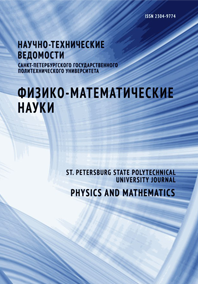 Goncharova Polina S. Krishtop Victor V. Sui Alexander V. Tolstov Evgeniy V.
The spectral characteristics of emission transmitted through a system of two anisotropic crystals and three polarizers are given. The emission in the system has been demonstrated to be modulated spectrally (it passed through maxima and minima alternating over a wavelength). Resiting maxima and minima in one crystal somebody can get the effective emission intensity modulation at the output of such an optical system. The electro-optical modulator using a light diode of more than ten nanometers spectral wide as a radiation source had a modulation index beyond 80 percent.